At Talking Tree Creative, we transform your message into a dynamic experience, on screen, on stage, or online, that truly impacts your audience. This is not simply creative. It is not simply technical. It is Strategic Creative, a complex strategy utilizing tried and true methods of getting through to people on an emotional level. 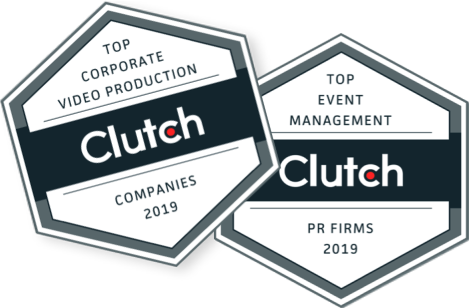 Using this unique process, our corporate event production company, headquartered in the Baltimore-Washington corridor, serves national clients of all sizes and stages events at venues located throughout the country. What is the Strategic Creative process? We begin by gathering information about your company and brand so that we can develop a unifying theme that will resonate with the audience. A visit to the event site allows us to incorporate the structure and layout into the final production. If live music or live entertainment adds to the overall experience, TalkingTree can easily handle the details, and ensure the acts fit the overall theme of the event. Once these tasks are complete, design, art direction, and event production follow. As we engineer the infrastructure and messaging for the event, we never lose sight of our ultimate goal – creating an engaging experience for your audience in an environment of communication. What we do and the way we do it requires that we know the audience, the stakeholders and the message. Then there are multiple levels of engagement (or layers) to achieve success. The first layer involves demographics. We identify the personality and cultural touchpoints of the audience, our client and the message itself. This is critical to saying the right thing in the right way. The message is like our cargo (it’s what we want to deliver to our audience) and the theme can be compared to the vehicle. Another way of thinking about the theme might be packaging. The theme serves as a context for the message and gives everyone a “space” to occupy. Once we have our message and theme and we know who we’re communicating with, we need a story to tell. This can be implicit in the message or it may need to be constructed to carry the message within the theme. You could think of the story as the wheels. This is the layer in which our team works with our client’s team and the experience of working together on a project (for our client’s team) is the most important experience we create. When the people feel comfortable and confident in the process as well as their partners, the ideas flow and the true personalities shine through. There is nothing more beautiful because it is the creation of great work and the development of enduring friendships. We take pride in designing environments that make the audience feel welcome, yet excite them about what their experience will be. Engineering the room from the correct AV equipment to the lighting to the right acoustical experience and how it is all branded offers both technical and creative challenges. We produce content in many formats from still graphics, to animations, videos, sound effects and music – all for the purpose of telling the story and keeping the audience engaged. At show time you need a Technical Director who knows the show well and knows how to direct a large crew. The Technical Director is the “conductor” and must coordinate between 5-20 people in real-time to execute the cues in a coordinated sequence that truly delivers the experience. Beyond that, there are deliveries, activities, signage, registration, and many other endeavors that must be executed with little room for error.